Shivanna after completion of his degree in Bachelor of Arts in his home town, Hassan. He was not confident in being on his own to take up this training at Bartimaeus. 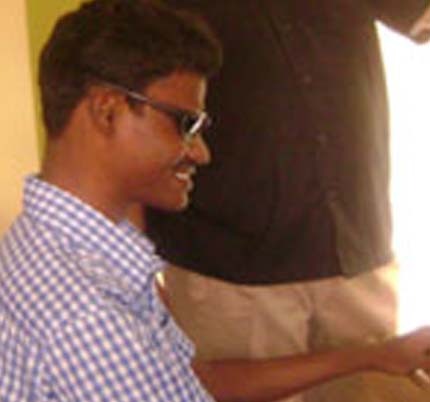 However following six months learning mobility and daily life skills, he is able to travel to his village on his own. He shows keen interest on this course and he has a interest in cricket, be it the World Cup or T20 he has a good memory of all the statistics for every cricketer.